This is a very cute birthday party design! 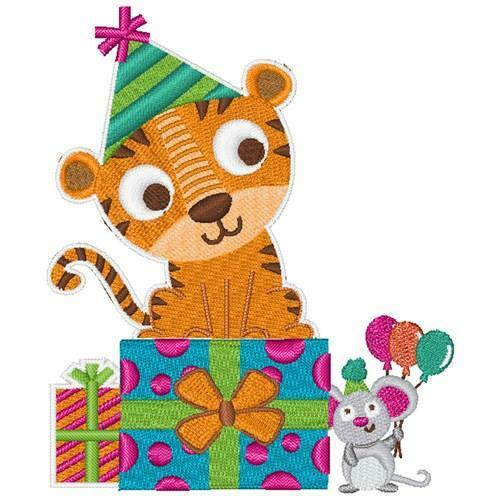 You could sew this onto a little girls t-shirt or other clothing for her to wear to the party! Finish Size 3.38" x 4.01"